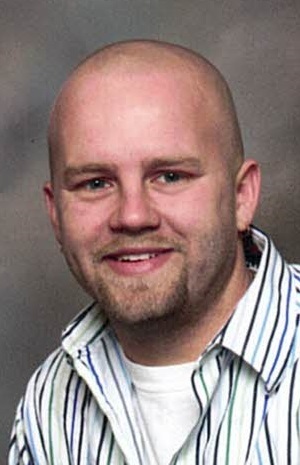 Christopher Timothy Brown, 34, died unexpectedly Friday, February 8, 2019. He was born April 8, 1984 in Oregon. Christopher was employed with Allstate Towers. He enjoyed drawing, 4 wheeling at the camp site and climbing towers. Christopher was a good hearted man who loved his children, nieces and nephews. Christopher is survived by his children, Christopher, Cameron and Gracie; mother and step-father, Nadine and Jay Neff; grandmother, Barbara Frushour; siblings, Terri (George) Smith, Jamie (Saul) Nevarez and Jessica Carmona; step-brothers, Chad Neff, Brent (Rachael) Neff and Chris Neff; aunts, Tina (Ricky) Snyder, Dianna Pedersen and Barbara Prater; uncles, Ralph Frushour and Frank (Robin) Caputo and many nieces and nephews. He was preceded in death by uncle, Robert and aunt, Mary Kay Frushour. Family and friends may visit the Freck Funeral Chapel, 1155 S. Wynn Rd in Oregon on Thursday, February 14, 2019, from 2-7 p.m. In lieu of flowers, memorial contributions can be made to the family. .